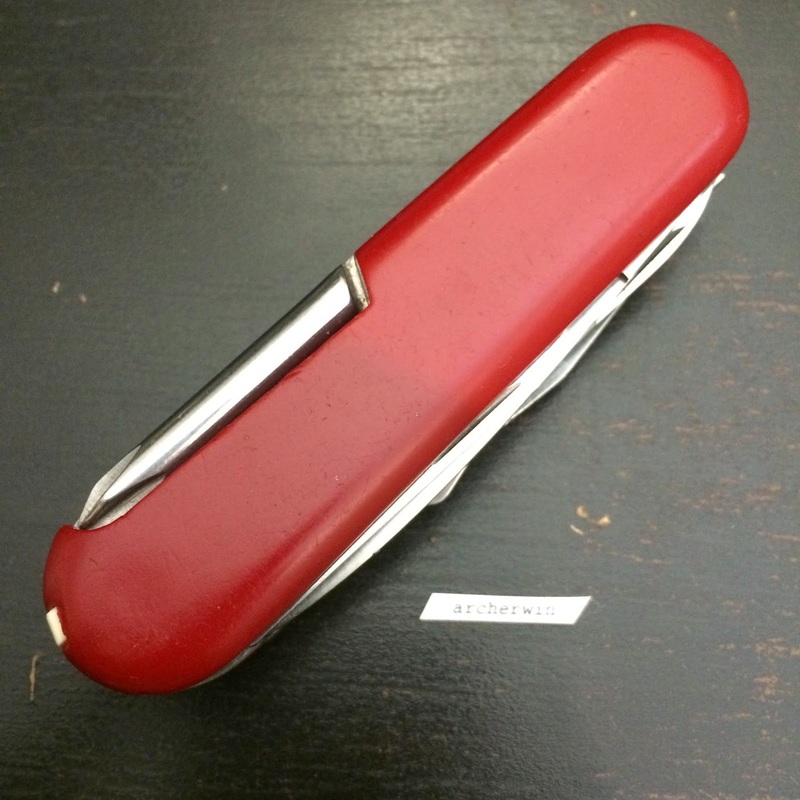 Wenger has been producing Swiss Army Knives since 1886 and together with Victorinox, they were supplying the Swiss soldiers with folding knives since 1893. They are known for releasing unique models with unique tools. 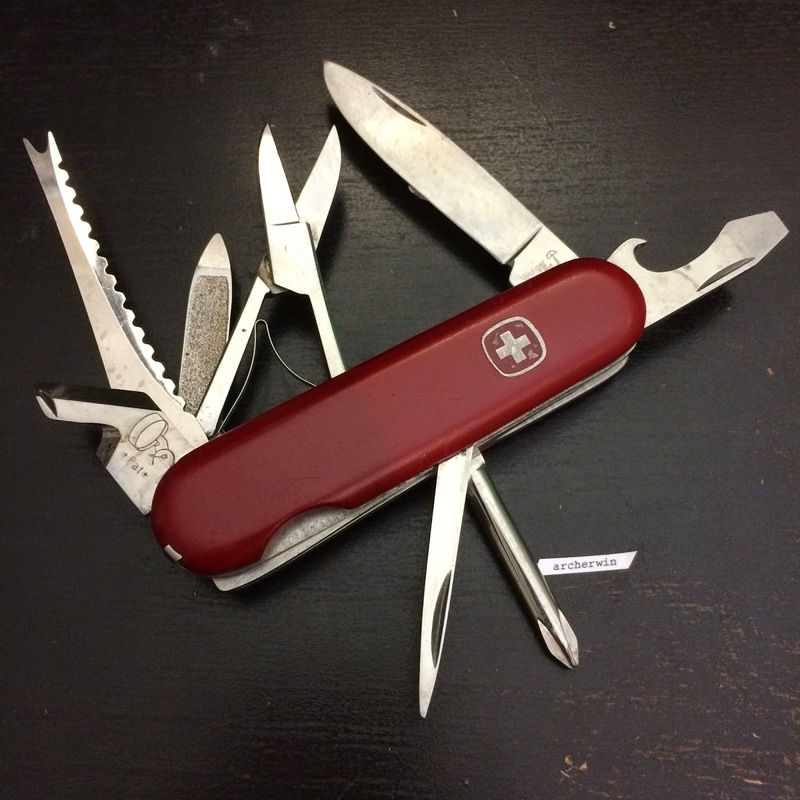 Recently, they were acquired by Victorinox in an apparent move to keep the Swiss Army Knives manufacturing in Switzerland. Actual photo from my collection dating back to early 1970s. 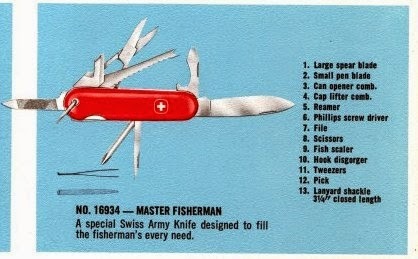 The Master Fisherman has been in production since the 1960s (earliest Wenger catalog available online). It might have been in-production earlier, but I don't have a catalog available from the 1950s and earlier to verify. The 1960s model does not have a name yet and is only indicated by the Model No. 967. It was USD 7.75 back then which is roughly USD 76 in 2014 value. This is comparable to the Wenger Fisherman 19 currently on sale at Amazon.com (USD 65). 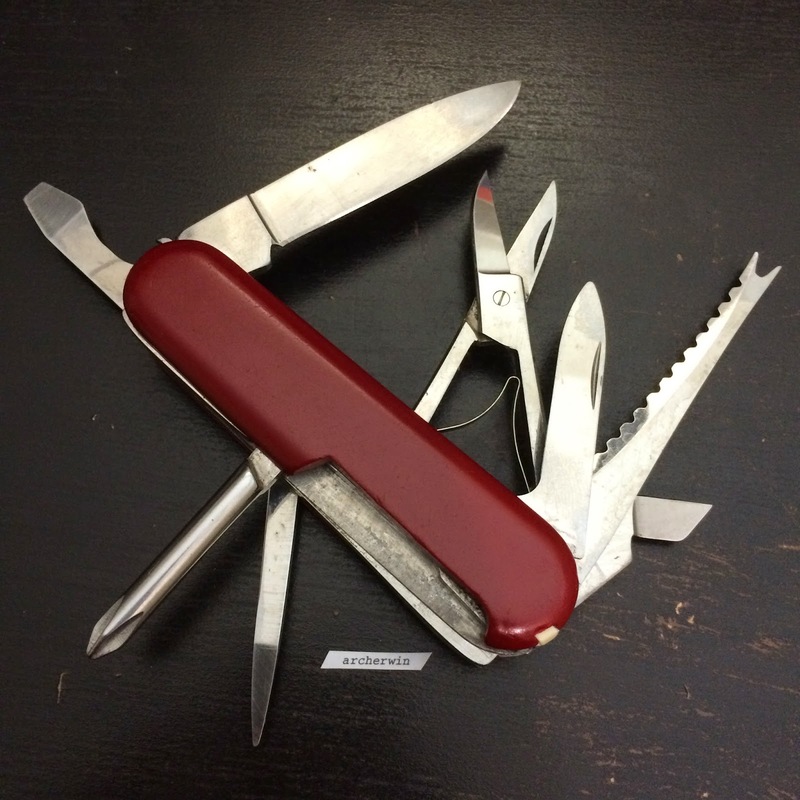 During the late 1960s and early 1970s, the can opener was changed to the "V" shaped or the dog leg-style from the old-style can opener (similar to what Victorinox used in the 1950s). They later changed this again to the current/modern curved-shaped design in 1975. 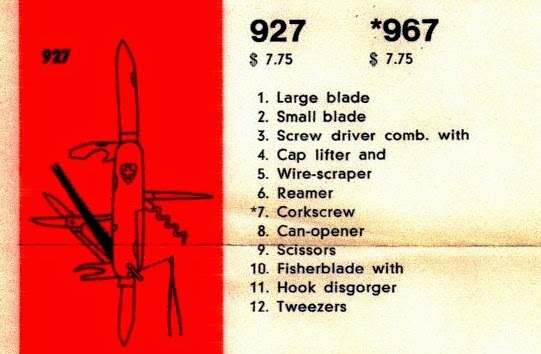 From the 1970 Wenger catalog. 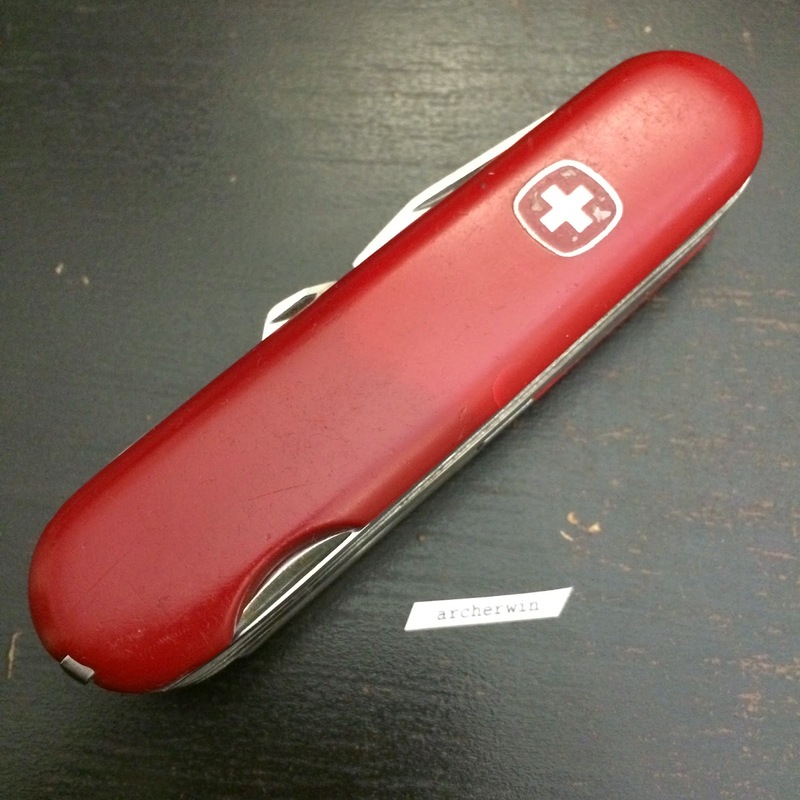 The scissors design with the single leaf spring similar to the Victorinox design was changed to the lever-type design after 1972. 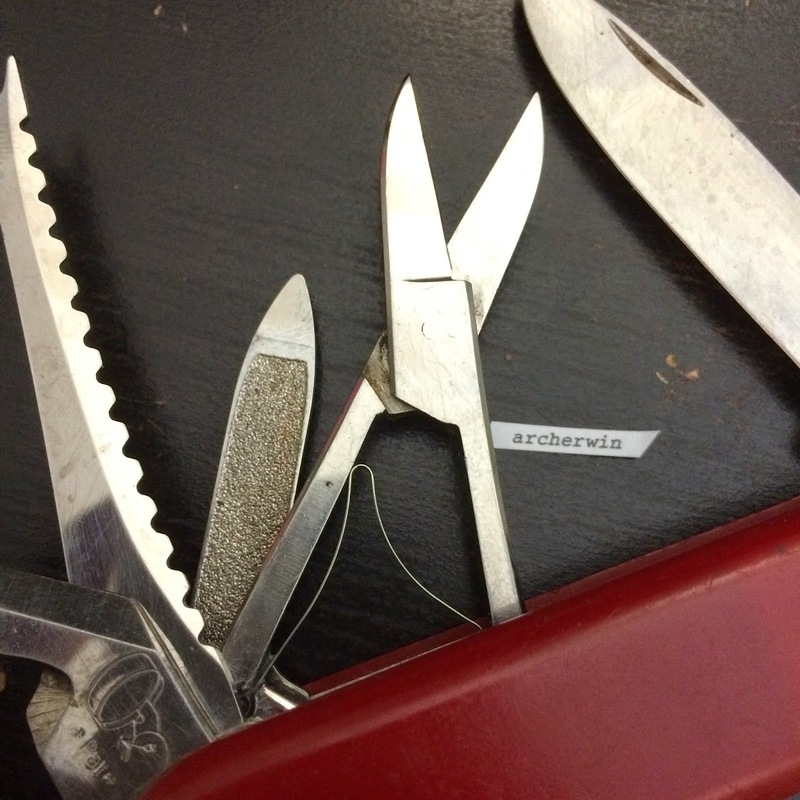 This particular SAK in my collection can be dated to pre-1972 based on the scissors design in the tool set.